SV Design specializes in beautiful and functional spaces that transform lives through exceptional design. For three decades, we have earned a reputation from Boston’s North Shore to Cape Cod and beyond for elevating communities with residential, multi-family, and commercial spaces of character and integrity. 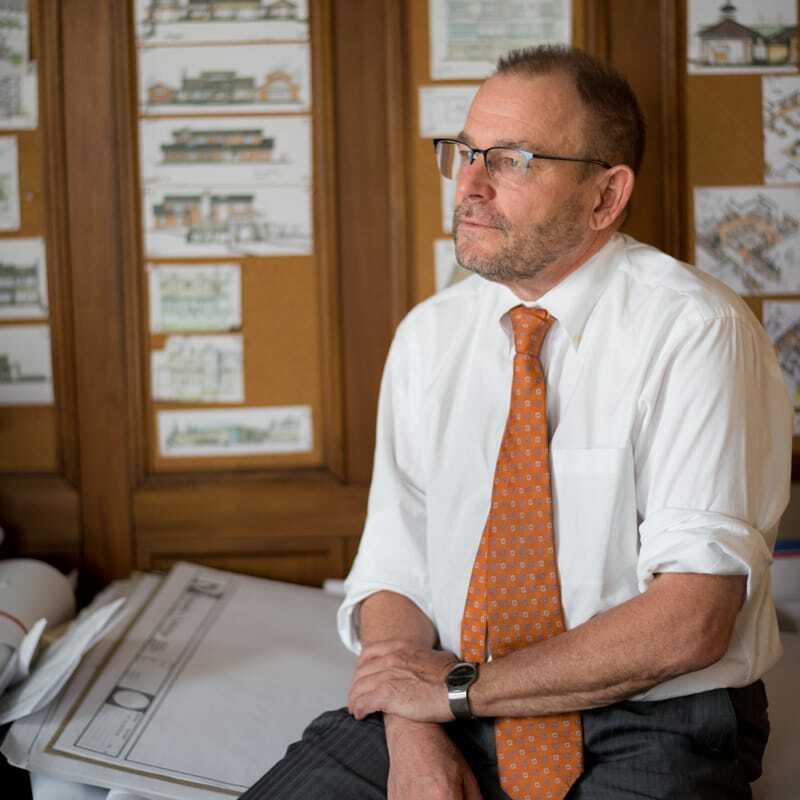 Thad founded the firm’s architecture practice in 1987 with a driving passion to create exceptional structures for living, learning and work. The projects he designs are timeless in style, highly functional, thoughtfully placed in the landscape and carefully woven into the fabric of their communities. Thad's experience spans a wide range of project types and purposes, including academic institutions, commercial facilities, and single- and multi-family residences. He is a Beverly resident who plays an active role in the North Shore business community, serving on local boards and formerly as President of the Rotary Club. Thad's idea of unwinding is tackling house projects at his cottage in Wellfleet. He never puts his feet up, but if he did he’d likely be sporting handmade Italian loafers.